I don't often make Easter cards... but ... I could not resist stamping this cute stamp set from Mama Elephant! 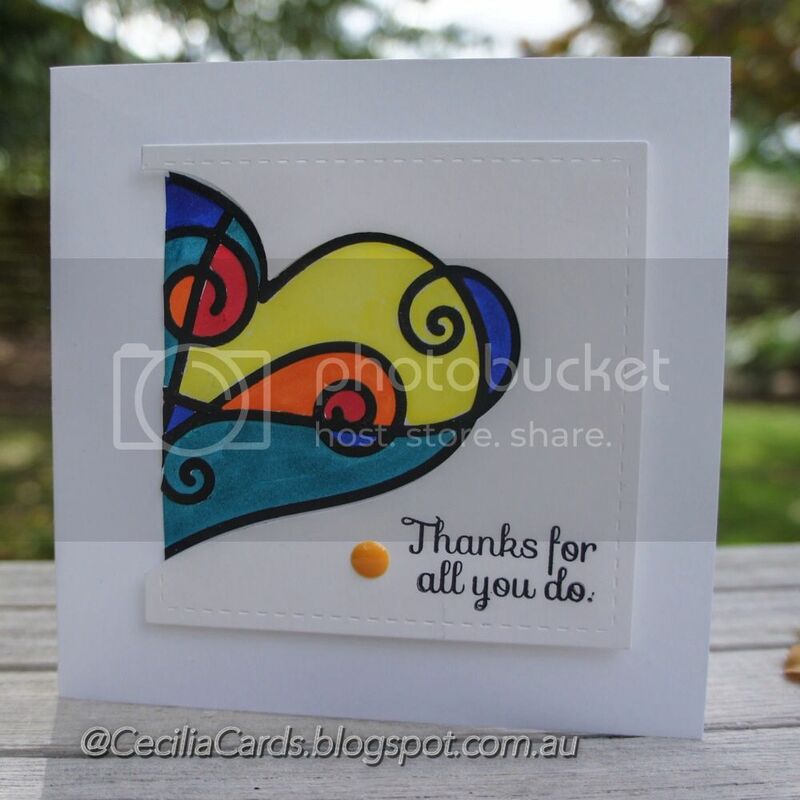 This was made at our Craft Retreat on the weekend using Sketch 70 from CAS(E) This Sketch. 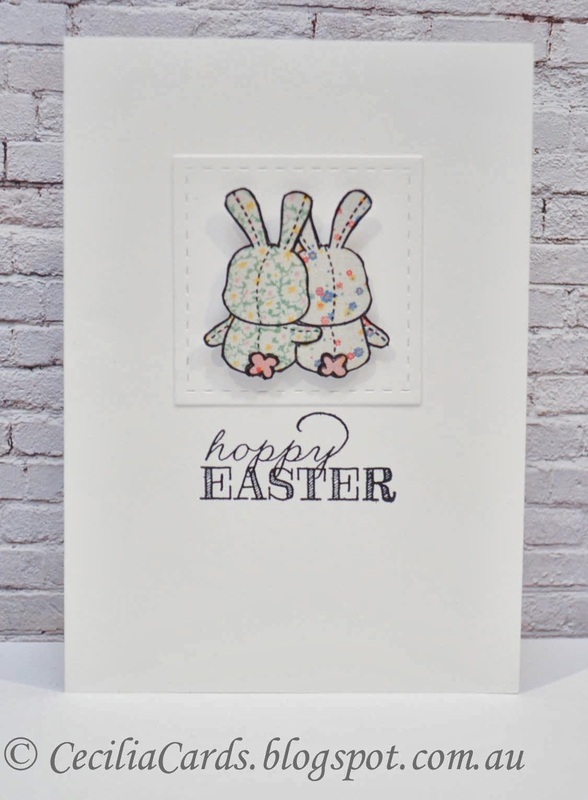 I'm also linking this up to Scrapbook Boutique's Easter Challenge and STAMPloration's Stamps and Spring Challenge. Thanks for dropping by! Neenah Solar White, Lil Inkers Stitched Squares Die, Mama Elephant Honey Bunny, Basic Grey Mint Julep and Ranger Archival Jet Black. I've just come back from a 4 day Craft retreat with 10 other awesome crafters. One of the cards I wanted to make was the current Muse challenge. 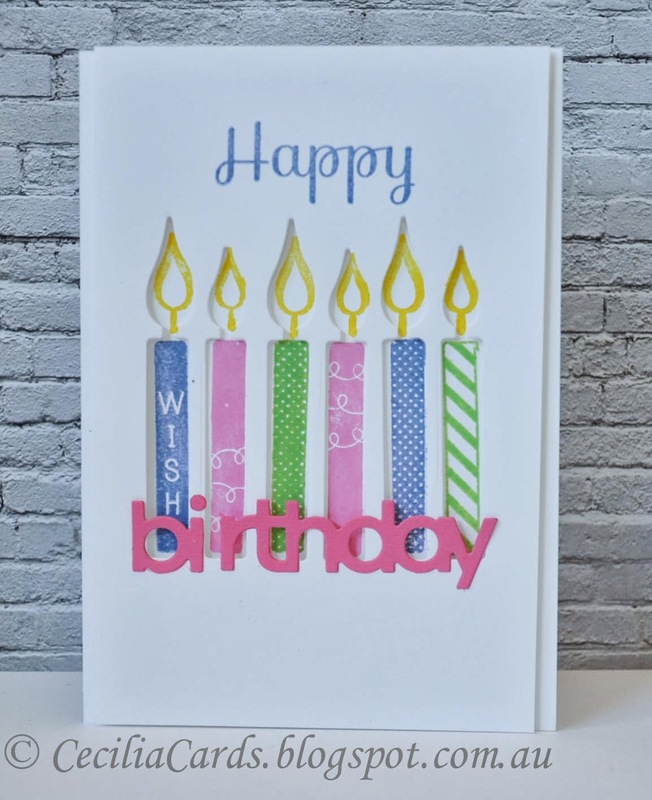 I'm also adding this card to the Winnie and Walter's Playdate No 1 challenge as the background paper goes well with the inspirational photo, the current STAMPlorations Stamps and Spring challenge and Moxie Fab World's Styling with Stencil challenge. Two of us at the retreat made cards for the Muse challenge and we were very lucky to have Lyndal, the actual Muse with us at the Retreat! 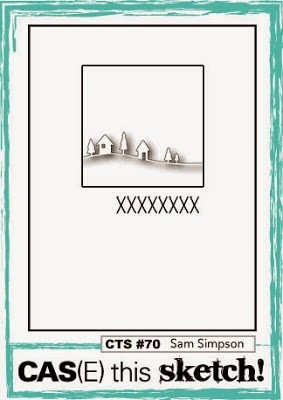 We shared a lot of our craft collections on the weekend and I borrowed this stencil and the Winnie & Walter stamp set from Lyndal to make this card. Here is my card and some photos taken on the weekend. L-R Joy Taylor, Michelle Lupton, Jenny Martin, 'Chupa' and me! Neenah Solar white, Vellum, MME Cut and Paste, Memory Box Butterfly Drifting Stencil, Winnie & Walter The Big The Bold & The Happy, Versamark, White EP, Tim Holtz Distress Inks - Iced Spruce, Evergreen Bough, Salty Ocean, Faded Jeans and Chipped Sapphire. Did anyone see the results of Fusion#6 challenge - my watercolour card got an honourable mention. Yay! 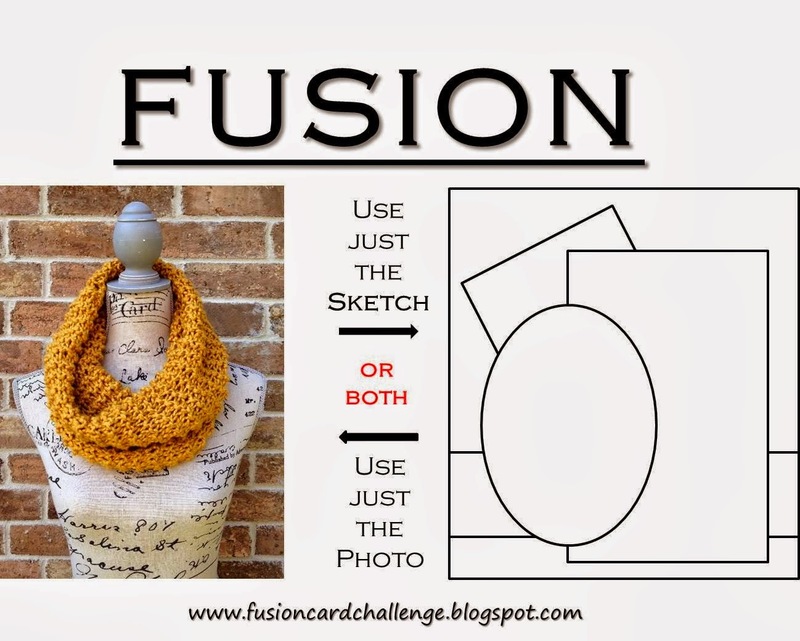 Here is my card for the next Fusion challenge, made on my Craft Retreat in Bright. I used the Lil Inkers Stitched dies and button from Lyndal and Darkroom Door stamps and thread from Joy. Great to have so many supplies on hand!! Neenah Natural White, Basic Grey Lucille 6x6, Lil Inkers Stitched Rectangles and Ovals, Darkroom Door Simple Sayings and Dressmaker, Hero Arts Soft Granite, Ranger Archival Jet Black, button from Lyndal, thread from Joy, Hemp from Hemptique, Tim Holtz Vintage photo. I'm blogging from Bright in country Victoria, 4 hours drive from Melbourne. 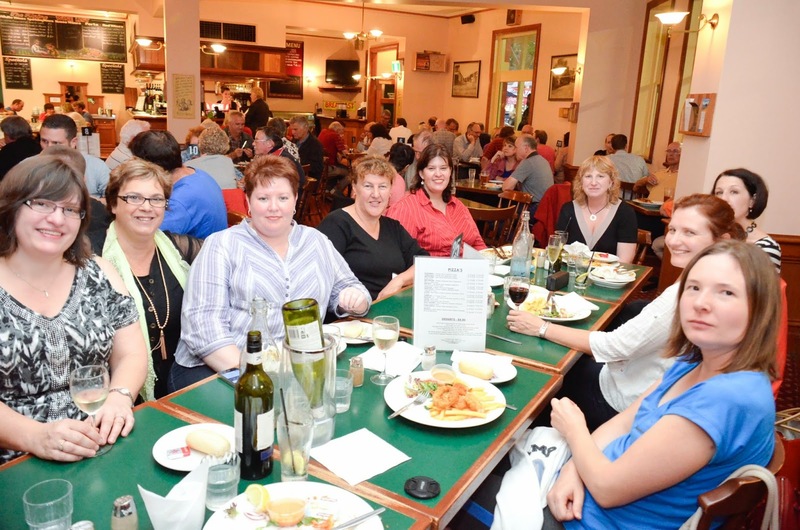 I came up with Jenny M and Lyndal yesterday and met up with Joy, Chupa, Debbie, Teresa, Suzanne, Debbie and Angelique. Jenny D came up today and Michelle will join us tomorrow! 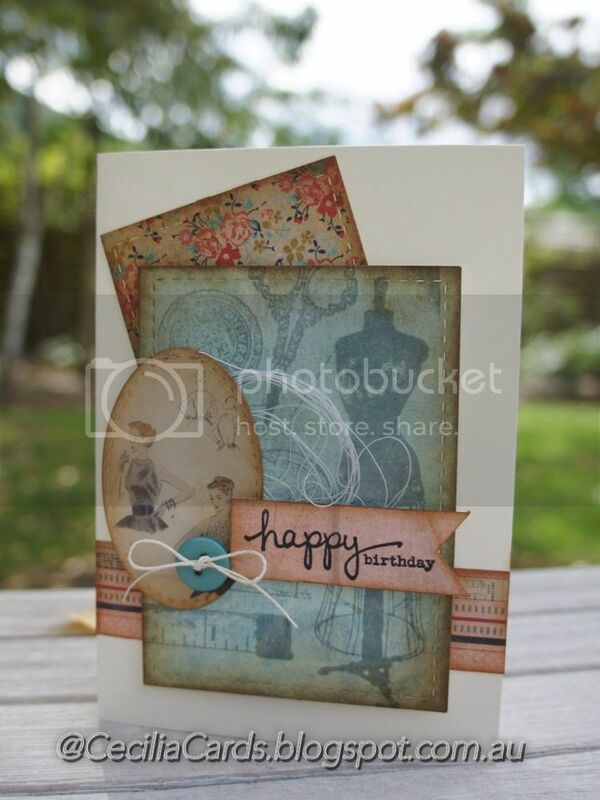 Here is my first card made using Joy's Simon Say Stamps supplies! Neenah Solar white, black card, Simon Says Stamp Swirl heart die and Inside and out stamp, Lil Inkers Stitched Squares, Copics markers and MME enamel dot. I had a day off work today to get over a cold. I ended up doing housework, packing and labeling my craft items I'm taking with me on a Craft Retreat this weekend. 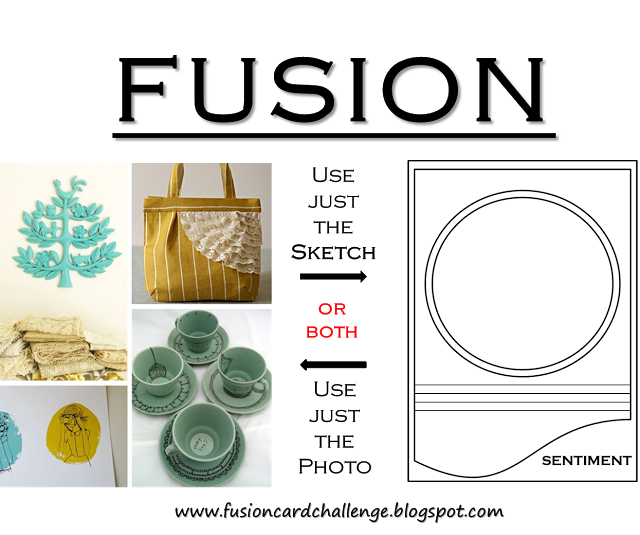 I then realized that I have not made a card yet for the PTI March Blog Hop. So out comes the stamps, dies and ink I had packed! 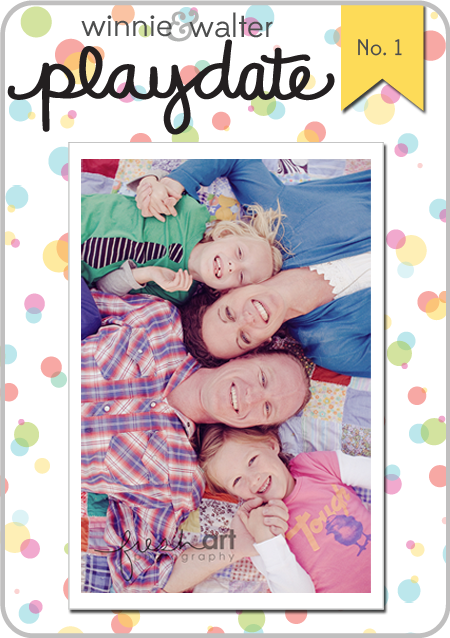 Here is my card using my new PTI Make-it Market kit. 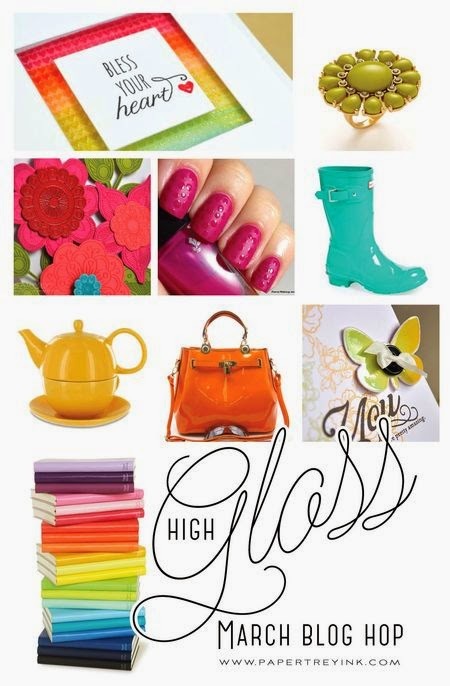 This kit is ideal for the theme of the March blog hop - High Gloss! The only extra piece not in the kit is the MT tape. I'm really looking forward to this weekend, so no more cards until the Retreat! Thanks for dropping by!! 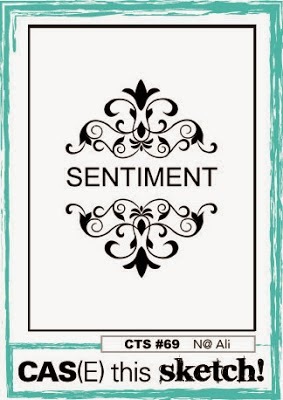 This is just a quick card to share. 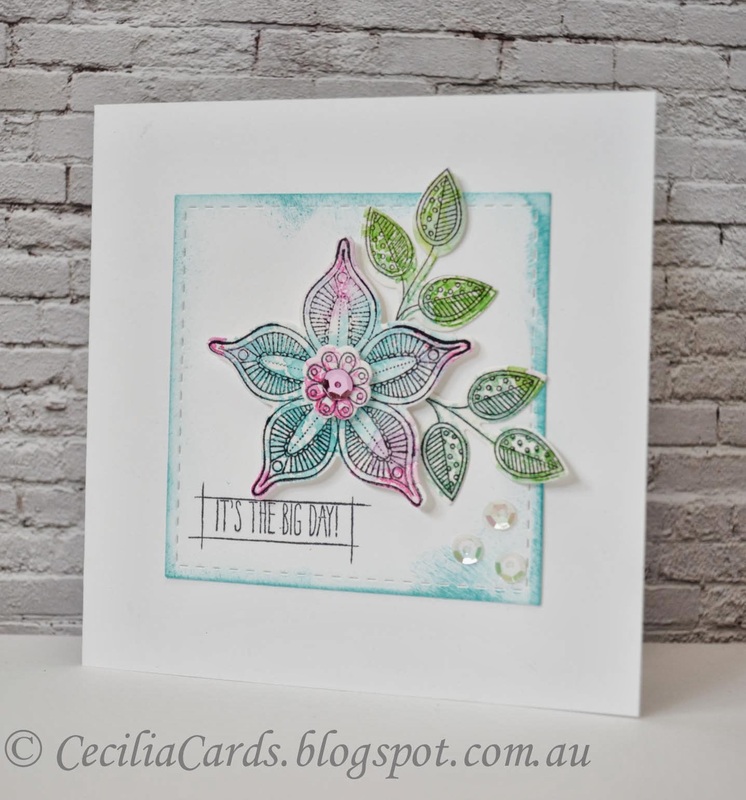 I was inspired by Betsy Veldman's PTI MIM DIY Coverplate video. 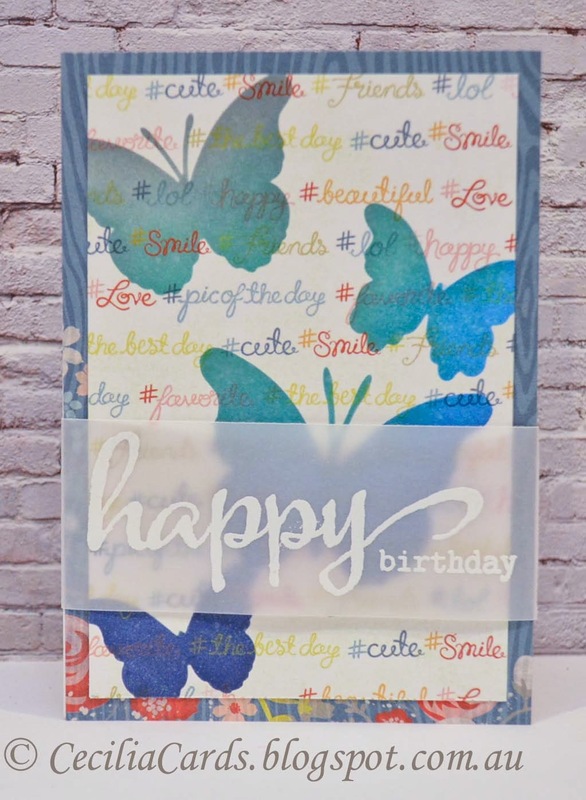 This was a no-brainer and gave me a chance to use the Polka Dot Parade #5 stamp set and dies. It was so easy to make! Thanks for dropping by! It's been a while since my last scramble. Due to international timezones, sometimes it is hard to get one that suits our timing Down-under. This morning's scramble was hosted by Debbie - the challenge is to make a card with navy and mint with Hero Arts stamps within 90 minutes. This morning's challenge started at 7am, I almost missed it as I thought it was on at 8am! Anyway I got it done on time. My real challenge was that I did not have any 'mint' coloured inks. So I decided on using Copic markers instead. 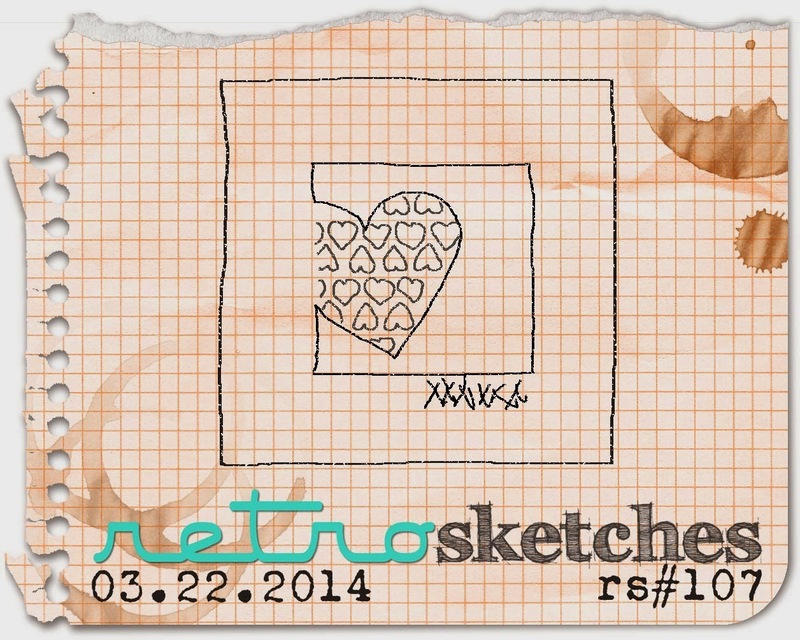 This card is also based on the current CAS(E) this sketch #69. I have not made a lot of cards this week, so I'm looking forward to a weekend away at a Craft retreat next weekend. I should come back with lots of new cards!! 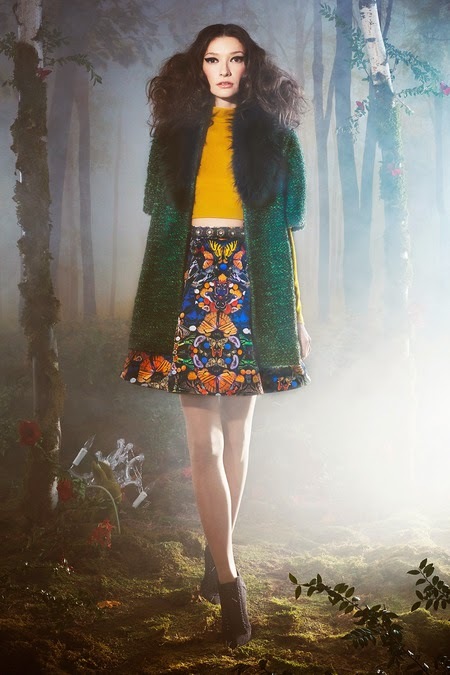 I'm so looking forward to it!! Neenah Solar White, Navy card stock, Hero Arts CL497 and CG255, Memento Paris Dusk, Copic Markers, white paint. 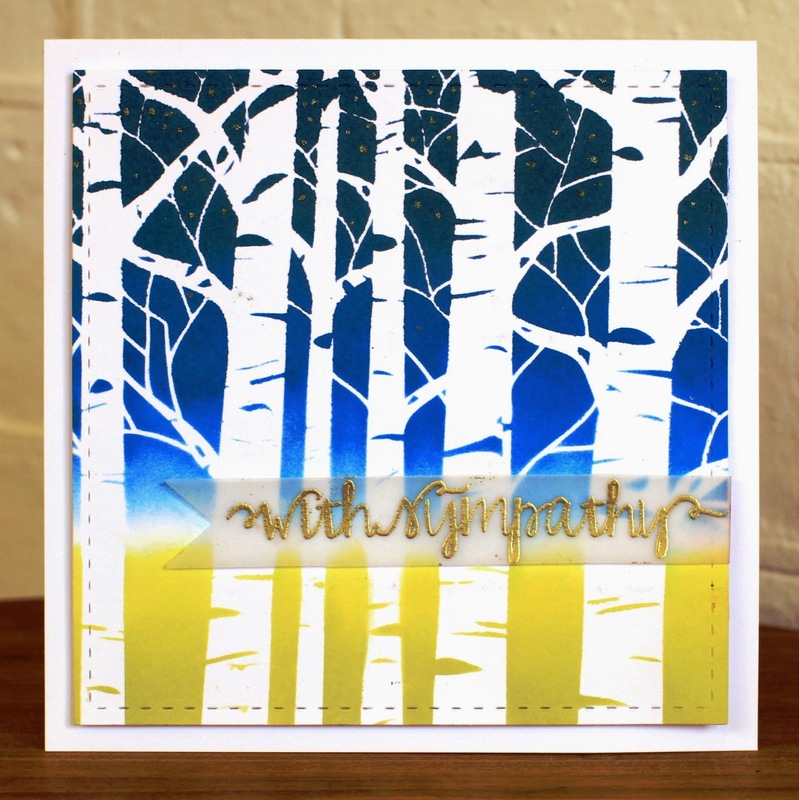 I had a whole stash of Sympathy cards made and I used up most of it last month! So it is time to start making some more. This one is for a friend whose father who passed away last week from Parkinsons Disease. 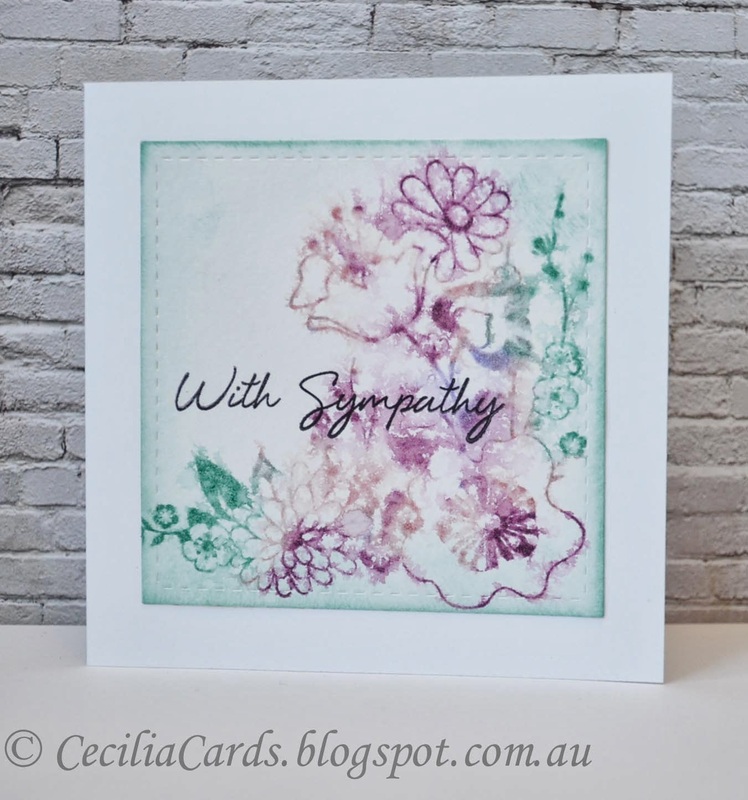 I wanted to make another watercolour card as I think it is most suited for a sympathy card. It is quick and easy to make. I inked up the stamp with various distress colours, stamp onto watercolour paper and spritzed with water. I love the bleeding of the colours onto the paper! 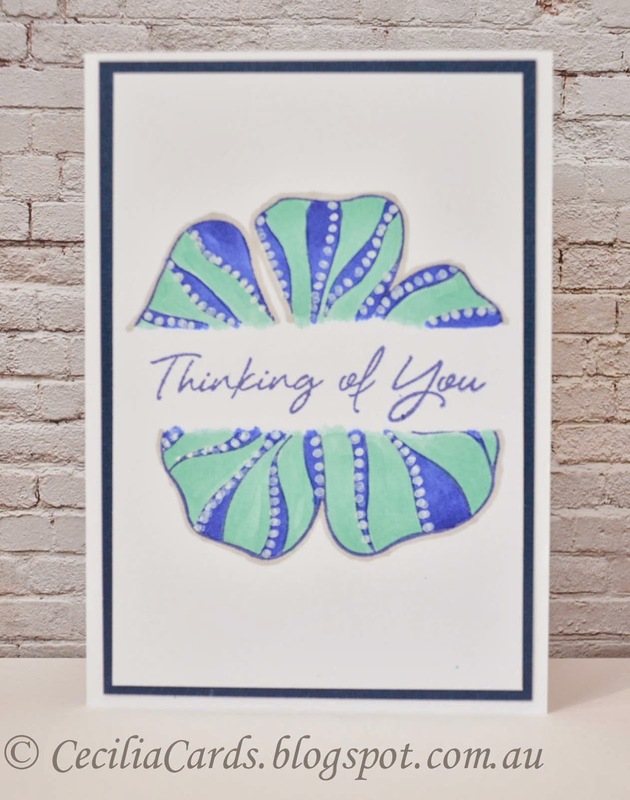 I'm linking up my second watercolour card to Virginia's View Watercolour challenge using the current Fusion Card sketch. Neenah and watercolour card, Hero Arts Floral Blossoms and Sentiment, Tim Holtz distress inks Victorian Velvet, Seedless Preserve and Evergreen Bough, Ranger Archival Jet Black and Lil Inkers Stitched Square die. 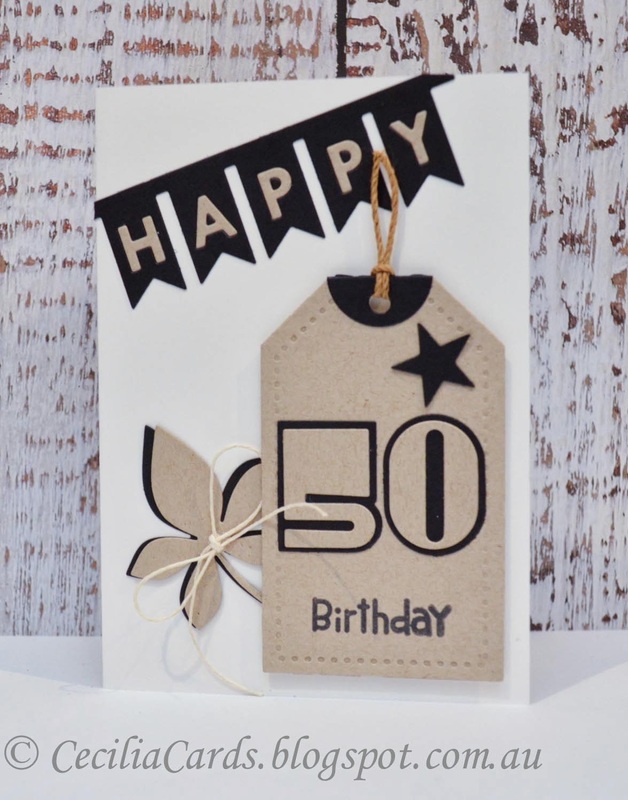 This is a fun birthday card I made for my not-so-much-younger-than-me-brother who turned 50 last week. I've been having fun with my new PTI Happy liner die! It was fiddly getting the alphabets in a different colour, but I'm happy with the result! 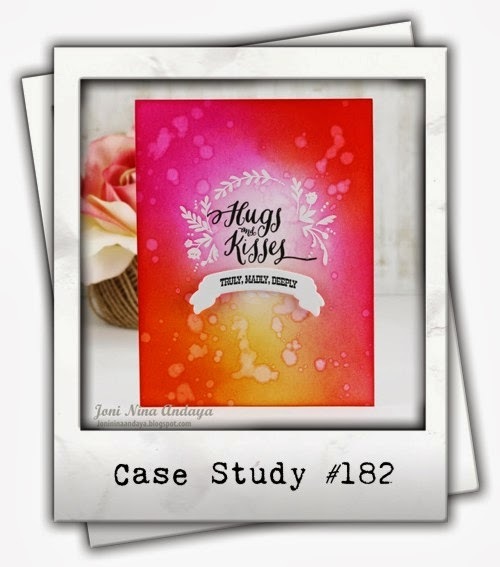 I'm putting this card into Paper Smooches Sparks Anything Goes Challenge and also into the PS April Guest Designer Search. 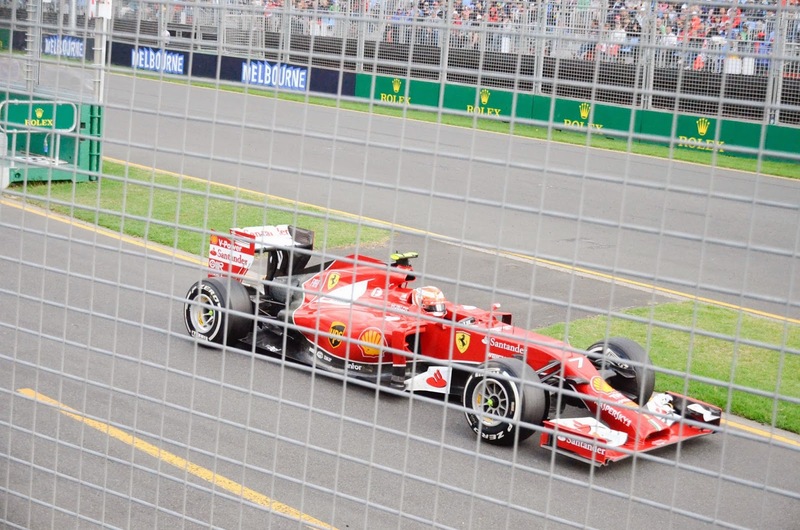 I've got a few photos to share that I took at the Australian Grand Prix in Melbourne today. I found it very hard to take a good photo! This is an early Mother's Day card. I usually make three every year for the three important Mums in my life and I have to get an head start on them! 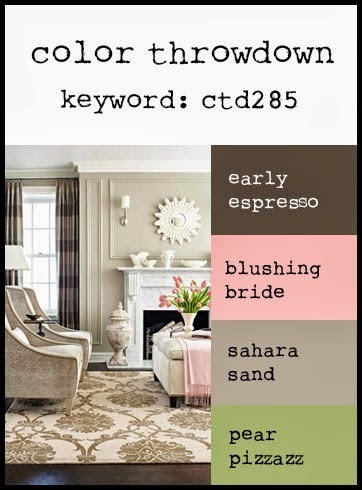 This card is based on the current CASE Study Challenge 182 - Joni Nina Andaya. I love Joni's card and based mine very similar to hers. 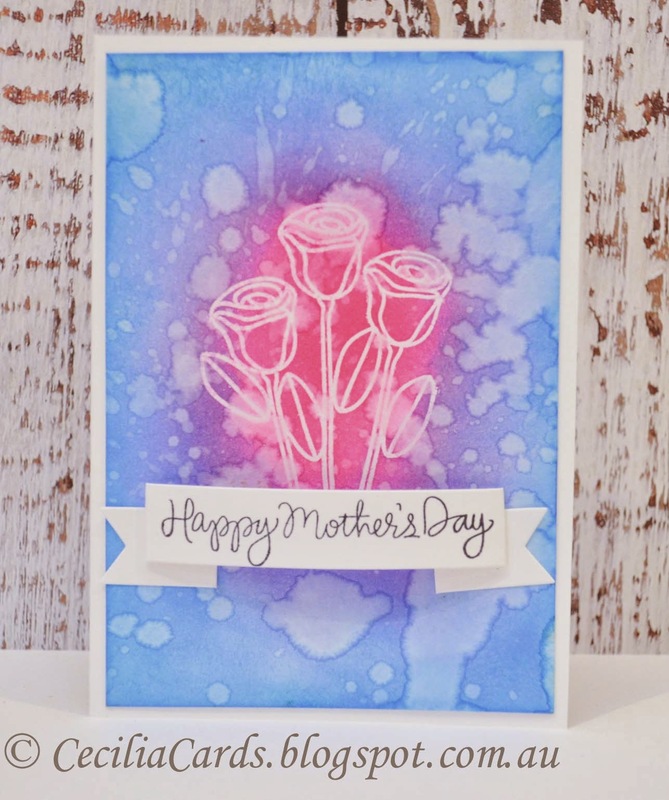 I'm also adding this card to Simon Says Stamp Wednesday Challenge - Mother's Day. Neenah solar white, Simon Says Stamp Best Mom Ever stamp set and folded banner die, Tim Holtz distress inks Picked Raspberry, Shaded Lilac and Salty Ocean, Versamark, white EP and Memento Tuxedo Black. It's been a while since I've had time to participate in a few challenges. I recently received a couple of orders from PTI and I had to make this card with the goodies I just received! This card has been made for PTI Make it Mondays - Confetti challenge. I don't have any cover plate dies, so my new 'Happy' liner dies will do for this challenge. 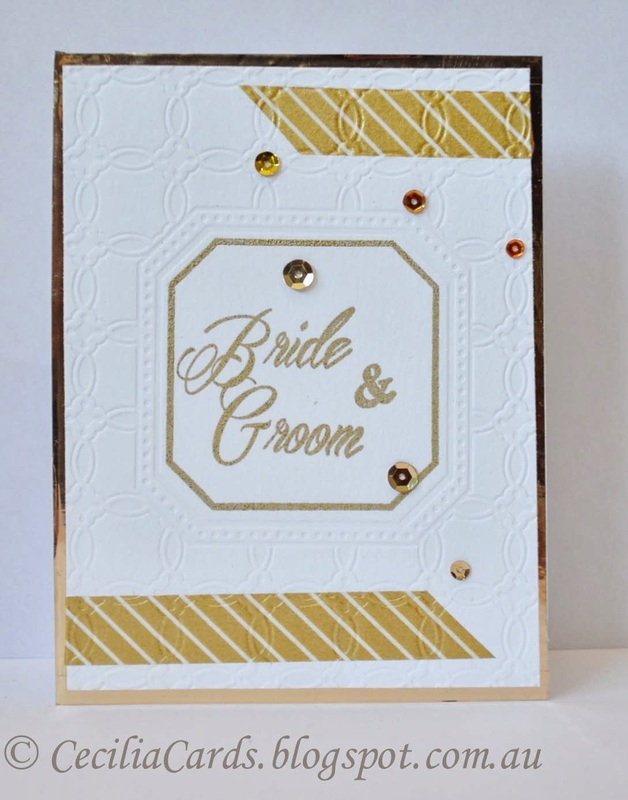 I also love the gold fold strip I got with the special Make It Market kit and have incorporated it into this card. 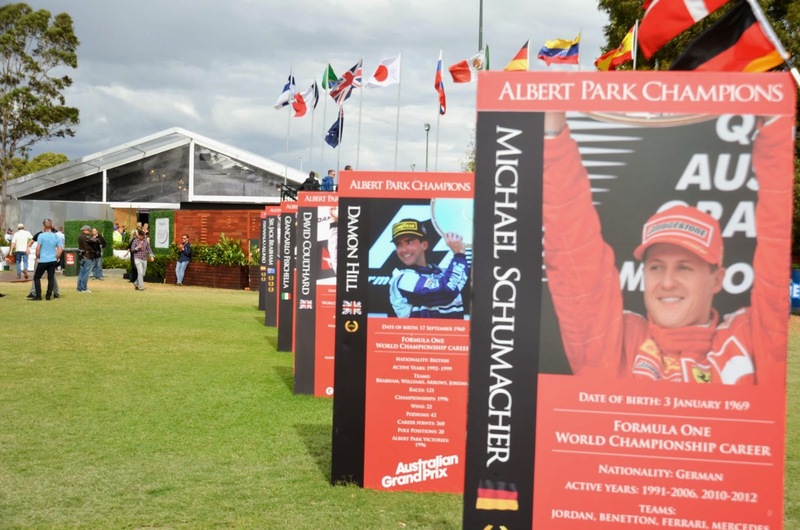 I'm going to the Melbourne Grand Prix tomorrow, looking forward to my first time to the GP! Hope I can capture some great photos! Have a great weekend! 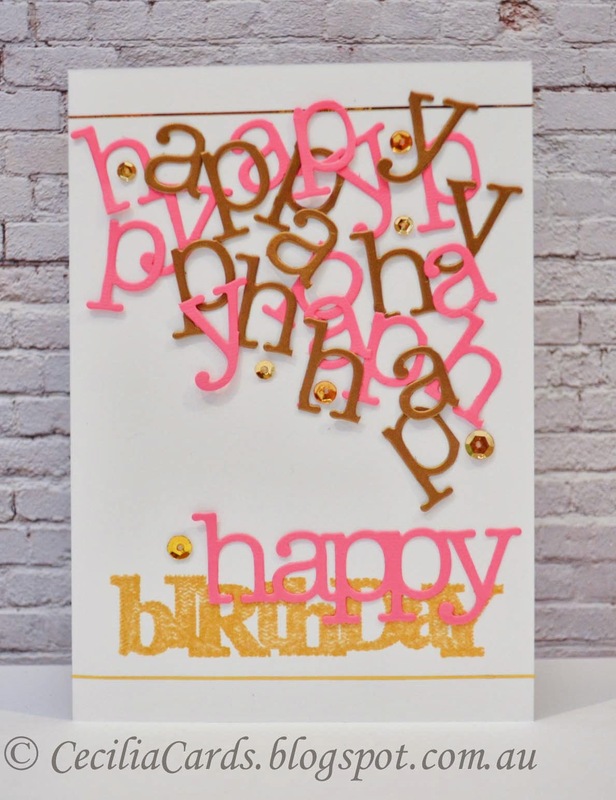 Neenah white, pink and gold card stock, PTI Wonderful Words, Happy Liners die, gold foil strip and sequins, Delicata Golden Glitz. This is an experiment with distress inks and water on watercolour paper. I love the way the inks blend on the watercolour paper! The overstamping in black is a technique shown recently by Jennifer McGuire. 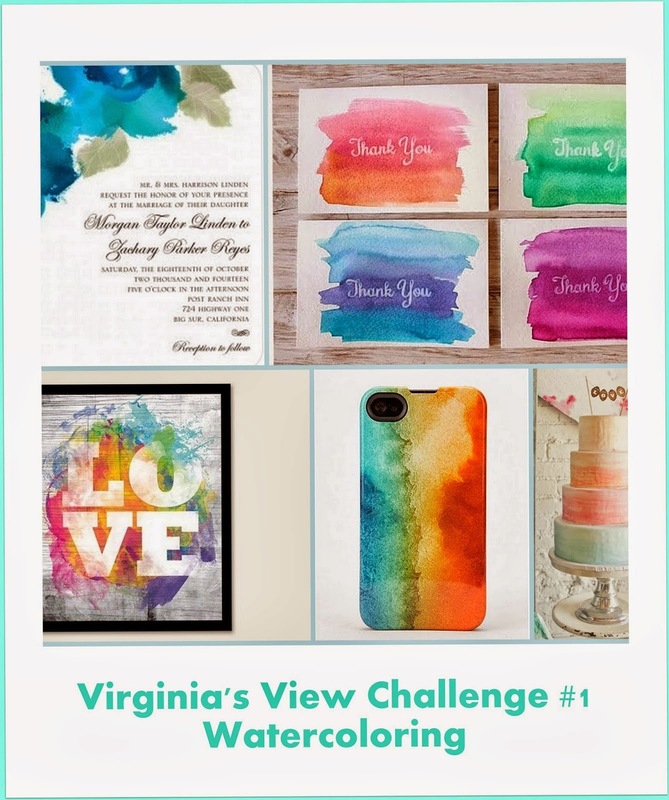 I'm linking this card to Virginia's View Challenge - Watercolour and the sketch is based on the current Fusion card challenge. Thanks for dropping by! Neenah and watercolour card, Lil Inkers stitched squares, PTI Doodlie-Doo, Distress Inks - mowed lawn, bundled sage, pine needles, peacock feathers, picked raspberry and evergreen bough, Memento Tuxedo Black and sequins. It's been a little while since my last post. 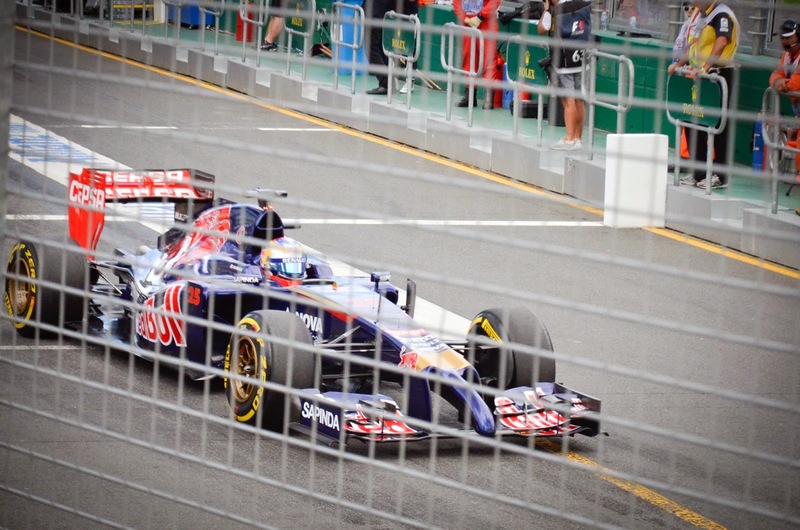 I've been busy with a lot of other activities in my life and blogging ends up at the bottom of the pile! 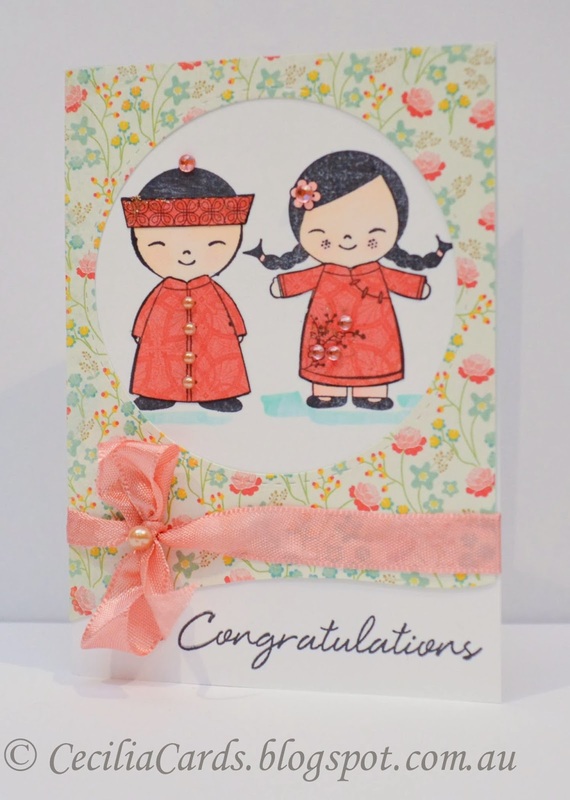 I have got a Chinese wedding card to share using my favourite Hero Arts stamps again. I've done so many versions of these stamps, I've lost count. They are my favourite stamps for Chinese weddings! 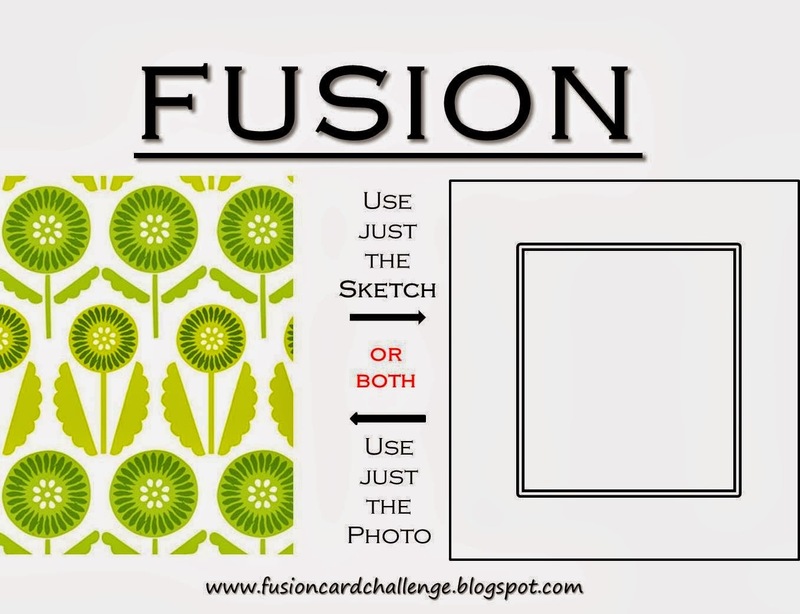 The design of the card is based on the current Fusion Challenge sketch. The wave at the bottom (although the bow covers it) is done with the Memory box Modern Landscape Border die (flipped). Looking forward to a wedding this weekend! Thanks for dropping by! Neenah cardstock, My Minds Eyes Miss Caroline Howdy Doody, Memory Box Modern Landscape Die, Lil Inkers stiched circle die, Hero Arts LP46 Asian Dolls, CL297 and CL574 Say It All, Memento Tuxedo Black, Copics markers, Kaisercraft rhinestones and pearls, ribbon.